Indian Premier League has seen so many captains over the last 12 years. Some have been so successful and become the synonym of success while some couldn't make their mark at the biggest stage. It is often said that a captain is as good as a team but sometimes, a good captain makes a team look good with his smart moves during the game. In IPL, a few captains have been able to change that scenario and have been so successful with even an ordinary team. Now, the question should be raised who is the best captain among them? Well, for that we need to look back at the records. 1. MS Dhoni (CSK, RPS) - Mahendra Singh Dhoni doesn't need the second introduction. He is the only captain in IPL to win 100 matches as captain. There are only a few captains in the world who have been as successful as MS Dhoni. He is the only captain in the world who has won T20I World Cup, 50-over World Cup and Champions Trophy as captain and without a doubt has one of the smartest minds in cricket. Chennai Super Kings has become a brand in the IPL and MS Dhoni is probably the biggest reason for that. 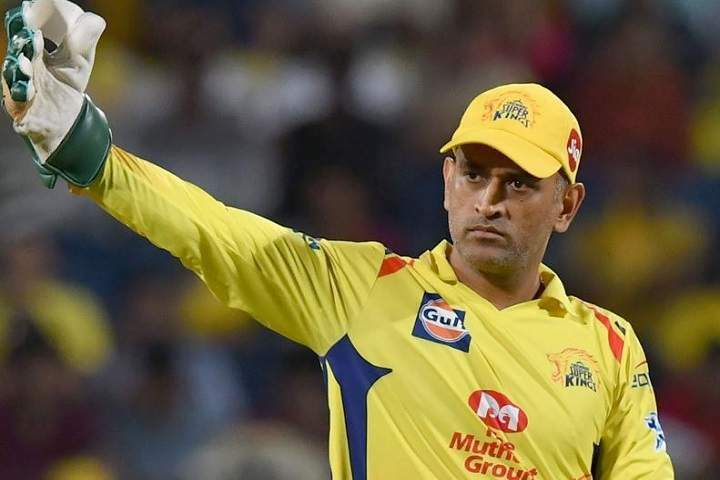 He is captaining CSK since the first season (2008) and has led his side winning the title on three occasions while four times CSK has been runner-up in nine seasons they have played. There is no other team being as successful as CSK and Dhoni without a doubt is the main reason for it. 2. Sachin Tendulkar (MI) - The legend of the game and arguably the greatest batsman after Sir Don Bradman, Sachin Tendulkar is one of only two Indian players who has won player of the tournament award in IPL. He was the first ever captain for Mumbai Indians and captained for three years. However, Mumbai Indians couldn't win during Tendulkar's captaincy period but he led MI to the finals in 2010 only to lose against Chennai Super Kings. One of the icon players, Sachin Tendulkar was the player of the tournament in 2010. 3. Rohit Sharma (MI) - Mumbai Indians is probably the only team who has dominated Chennai Super Kings and has been the most successful team since Rohit Sharma has taken the captaincy in 2013. The team has seen some great players like Sachin Tendulkar, Sanath Jayasuriya, Shaun Pollack but they couldn't take the team to glory until Rohit take the charge. Since 2013, Mumbai Indians has won three titles in 2013, 2015, and 2017. Rohit Sharma also has similarities of Dhoni who keep his head calm under pressure and that helped him become one of the most successful captains in IPL history. 4. Shane Warne (RR) - The first ever captain to lift an IPL Trophy, Shane Warne took an ordinary team Rajasthan Royals to glory. A team without star players has its name in the history book. Shane Warne showed the world that even without star players can reach the heights. However, 2008 success is alone standing glory for RR as they could never repeat the same kind of success again. 5. Gautam Gambir (DD, KKR) - Gautam Gambhir started his IPL career with Delhi Daredevils. And soon become captain after the first season. However, he couldn't be successful with DD as captain. Time changes and he was bought by Kolkata Knight Riders in 2011 and immediately given the captaincy. In his first attempt as KKR captain, he led his side to playoffs. KKR's 2011 performance was enough to prove Gambhir's potential as captain and didn't take a long time to convert his potential into glory. In 2012 and 2014, Gambhir led KKR to title triumph and became KKR's most loved face. There is no doubt Gambhir has been the Piccaso of KKR's IPL journey.